Please visit our clearance page for amazing deals or call us to ask for demo products. Audiophile is an over used and kind of controversial term. There are people with a pitch perfect ear who are obviously audiophiles but hate to be called audiophiles and there are those who can not distinguish a djembe from a snare and they like to be called an audiophile. What’s in a name? All that is important is that you like amazing high-quality sound! We help you to find the best match for your taste. To achieve this, we’ve spent hundreds of hours to choose the finest equipment for you. Smart homes are one of the coolest things on earth. With Google Home, Alexa, Siri, and home automation systems you can talk to your home and do what we used to just see in the movies. It used to be a luxury but now, with prices going down and our lifestyle speeding up it has become a worthwhile convenience. But don’t be fooled! A true smart home is not about having many different smart appliances or functions controlled with different apps. It is about the integration of the functionality of your home under one user interface which is user-friendly, intuitive, easy and affordable. That’s why we provide Control4 home automation. 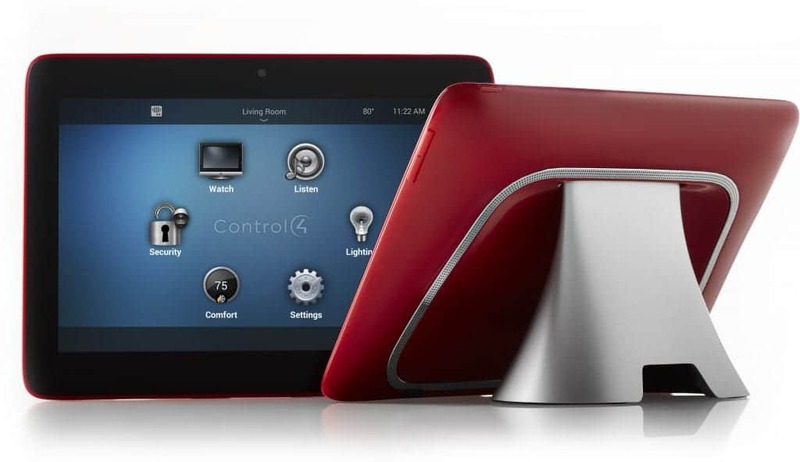 We used Control4 in our own home years before we started designing smart homes. We loved it so much that we became a dealer. We still believe it is the best home automation system on the market and since it is the most popular, that means many others agree with us too. Call us, and you can start with a small set-up and grow with your needs. We are sure that you will be very satisfied. The cost of going to see a movie has sky-rocketed. Go to movies a few times with your family plus the snacks and drinks and you’ve paid as much as a short vacation. Picture and sound quality (or the intensity) are not geared to you or your seat location. Meanwhile, home theatre technology keeps getting better and more affordable. Stay home in your own theatre, with your choice of snacks, and great picture and sound quality. We have something for your budget and taste.